One Piece: Gold is set to Weigh In Jan 10th in North America! 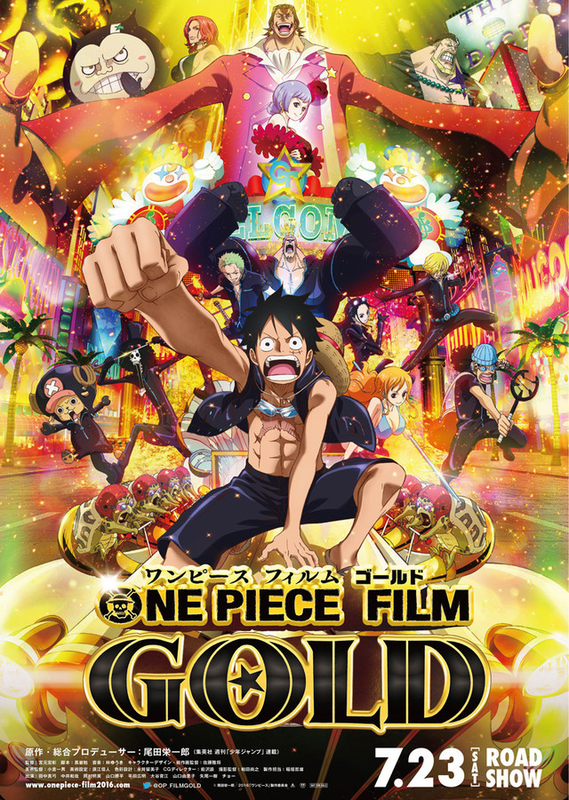 Watching One Piece Film: Gold only makes me pine for more Lupin III material than Luffy (the lead character). The only reason is that I’m more of a fan of this character more than the other. The Lupin series by Monkey Punch has been around since the late 60’s and One Piece by creator/illustrator, Eiichiro Oda, was first serialized in Shueisha’s Weekly Shōnen Jump in 1997. Both are popular in their own right, and who can’t love a gang of pirates having some pretty crazy, whacked out adventures? Both still have an ongoing television series. When concerning the latter, these pirates have not gotten the ‘reboot’ (the series began in 1999) and this film is the thirteenth in the series. Both universes have their fans, and while I prefer one over the other, it has not stopped me from looking at the newer one on and off over the years, when there’s a story to pique my interest.This latest cinematic product has shades of the King Midas myth written all over it, and it is making a debut in North America January 10, 2017. FUNimation has the North American rights and they are fantastic to have it playing on the big screen in select cities (please check local listings). When considering how grandiose the luxury floating city, the Gran Tesoro is, the scope can certainly be felt. I am generally amused by the encounters Monkey D. Luffy gets himself into. 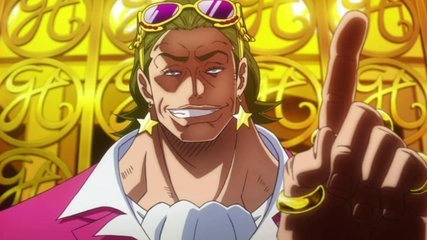 Since consuming a fruit that turned his body into rubber, allowing him to escape some dangerous circumstances, his search for ultimate treasure (the One Piece) with his gang just keeps on going like the Energizer Bunny. After a lengthy intro (with title sequences) which shows how opulent the Gran Tesoro is and how dastardly Gild (the mayor) has the Midas touch, the group does not find themselves in hot water yet. They haven’t sailed into port. Although showered with gold dust, this tease is nothing but an invitation to trouble. Luffy and pals make unabated bets, and when they lose nearly all their money, the only way they can get out of debt is to work it off. But no story set in Las Vegas can ever have a simple solution. There are enough analogies to Ocean’s 11 and Casino Royale (both are available to purchase on Amazon) to make it a long-winded heist film. My favourite take is from Star Trek: Deep Space Nine‘s episode, “Badda-Bing, Badda-Bang.” In an episodic series, keeping the tale lean is better over making it very bloated as this movie did. I also would have preferred this latest entry to add something new to this oddball world that is basically occupied by super-powered mutants and powered by steampunk. Although the quest to find the One Piece will never end, someone must know where to find the clues to lead to Plummer’s Treasure (the real-life unsolved mystery that may have inspired the series).